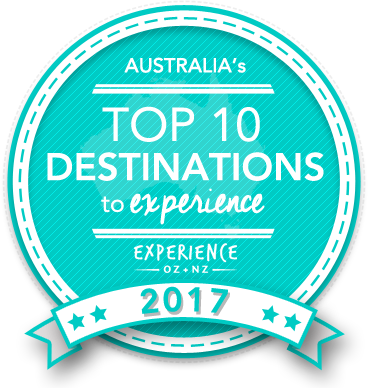 Vote forKangaroo Island, SATop Island Destinations Which are Australia's must-visit destinations? You help us decide. South Australia's Kangaroo Island is a pristine wilderness locale just off the coast of the SA mainland - one which is blanketed by protected national parks which take up over one third of the island's mass. Covered by stretches of rugged coastline, towering cliffs and gorgeous white sandy beaches, Kangaroo Island is surprisingly diverse. It is abundant with both fascinating history and bundles of extraordinary wildlife, its sheer size offers a cavalcade of exploration opportunities for travellers. Featuring 509km of coastline pocketed with numerous wildlife havens and scenic walks, Kangaroo Island offers plenty of things to see and do despite its small size. There are a number of amazing, purpose-built viewing areas and boardwalks that allow visitors to get up close with the rugged coastline and take in spectacles, with rocky coves and windswept cliffs contrasting beautifully with the surrounding vibrant blue waters and sands to form an impressive collection of colours. The term 'wildlife haven' may seem like a cliche, but this nature-rich gem has also become renowned for its mixed balance of wildlife and coastal scenery. Home to not only its namesake kangaroos but plenty of other Aussie animals including koalas, wallabies and a huge number of sea birds found on the island. Additionally, Kangaroo Island's local colonies of fur seals and sea lions are what sets it apart from various other locations. Those who enjoy a good meal will find plenty of options to satisfy their tastebuds while on Kangaroo Island, as it also produces some great gourmet food including cheeses and fresh seafood. Couple this with wines straight from the cellar door of any of its 30-some vineyards and culinary enthusiasts will be in their element during their visit to KI. The island's national parks are an obvious highlight of the island, and each individual park offers something slightly different; perhaps the most famous of these is the Flinders Chase National Park due to its containing multiple of “KI”‘s core highlights – postcard-worthy spectacles such as the Admiral's Arch, Remarkables Rocks formations and Cape du Coeudic Lighthouse and cottages combo all reside here, while Seal Bay is the site where its namesake sea lions congregate. Each national park is essentially a destination in and of itself, and as such the diversity makes for immense variety on the island. Whether you're looking to commune with wildlife, snorkel in secluded bays, or hike through greenery-clad sections of native forestry, Kangaroo Island provides the opportunity to do all this and more all in a single and easily navigable destination. One of South Australia's true treasures, the relatively short trip from capital Adelaide brings with it numerous visual and culinary rewards. Looking to pay a visit to Kangaroo Island but not sure what to do? Here are some of its most essential experiences. What's new on Kangaroo Island? An airport upgrade has lead QANTAS to announce direct flights from both Melbourne and Adelaide to Kangaroo Island starting from December 2017. A gorgeous and extensive, 66km-long wilderness walking trail was opened on Kangaroo Island in late 2016, passing by a number of key tourist sites. Is Kangaroo Island Australia's Top Island Destination to Experience for 2017? Vote now for the chance to WIN an epic trip to one of Australia's top destinations!